MoneyBookers is the online payment method and one of the most successful and leading online e-wallets. It has about 5 million account holders throughout the world, as it provides instant safe and secure fund transfers and payments. Moneybookers company promotes itself as the competitive, fair and trustworthy e-wallet that can be casino banking alternative in the near future, as it ideally suits for online commerce transactions. MoneyBookers has been holding a leadership since 2001 due to the fact that it has a lot of experience in the e-business. The company is currently owned by Investcorp Technology Partners and registered in Wales and the UK. 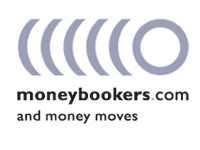 MoneyBookers is a subject to the FSA (Financial Services Authority) of the UK regulation as an electronic money issuer and meets high standards for security and reliability. Moneybookers welcome customers from all over the globe to become its members, but at the present time mostly UK members and European citizens use this online service. Moneybookers knows, that to maintain popularity is even harder that to win it. As a result, it pays close attention to safety and for the time being it can pride itself on stringent security, safe storage of the personal data (it is encrypted with the help of Cryptologic Software) and anti-fraud measures. Besides that, all transactions are made with the help of SSL (Secure Socket Layer) technology. To become the Moneybookers customer and get access to its service, it is necessary to verify the identity with the help of suitable documents. Approvement of verification means quick efficient and secure movement of a customer funds. Having an e-mail address, you can easily register with MoneyBookers. That will give you a chance to send and receive money, transfer it easily to and from the bank account. It is very convenient and, what's more important, it is really safe. It is hard to believe that any kind of payment from business to personal can be made with the help of e-mail address only. But it is true. Via email a customer is able to send and receive funds safely and instantly. One can fund MoneyBooker's account with the help of credit cards (Mastercard, Visa, AMEX), debit cards and other payment methods (Przelewy24, Laser, iDeal, Nordea Solo, eNets, Maestro, POLi, CarteBleue, GiroPay, NetPay) and also bank transfer or paper checks. Being a highly competitive and trustworthy e-wallet is not that easy, as the company bears a great responsibility to its clients. Nevertheless, Moneybookers cope with these tough requirements and provide customers with the good service: the company offers instant funding, total privacy for clients, easy and simple registration (using the e-mail address only), no fees for withdrawals and low charges for deposits (1% up to 50 Euros). Despite being so popular among worldwide customers, Moneybookers has its weak points. First of all, it has no accounts for US residents as well as for Turkish, Israeli, Chinese and Malaysian gamblers. Secondly, Moneybookers gets not very pleasant feedbacks according to its Customer support service, as it is thought to be below average. Moreover, many users complain about inadequate conflict resolution as well as too imperative process of identity verification. 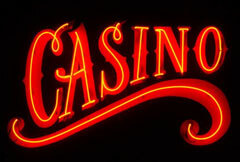 Despite the abovementioned MoneyBookers' disadvantages, many online casino chose MoneyBookers to be their alternating payment option because of its simplicity and efficiency of use and of the real-time transactions.